This soup is over the top! Completely Vegan and with, good for you, ingredients! 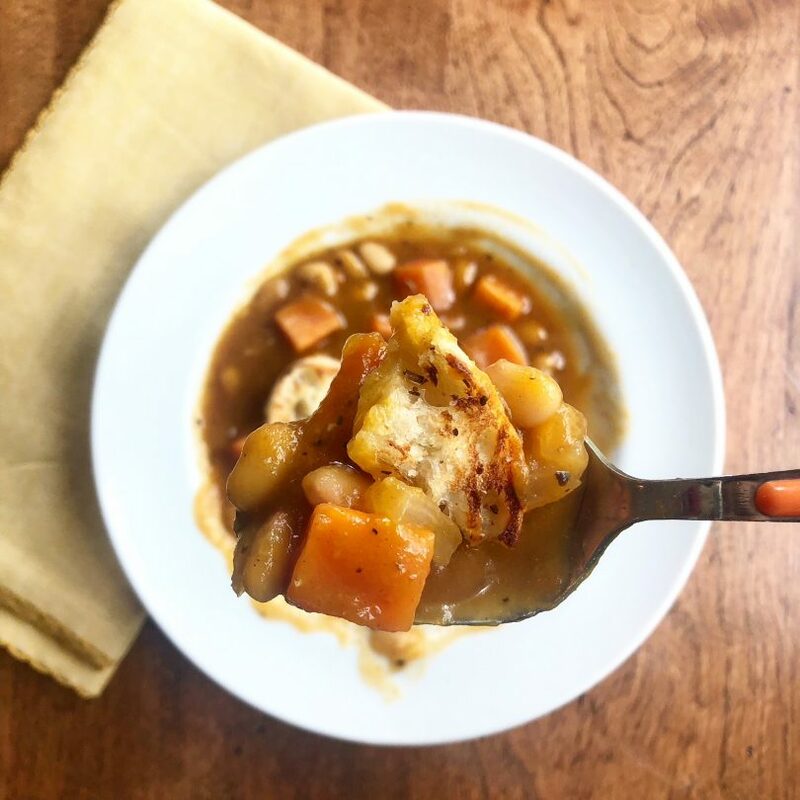 This soup is creamy, and you get wonderful bites of sweet potato and cannellini beans and enveloped in a sweet pumpkin broth. And for crunch? Homemade croutons that are oil free, seasoned, crunchy, flavorful and . . .